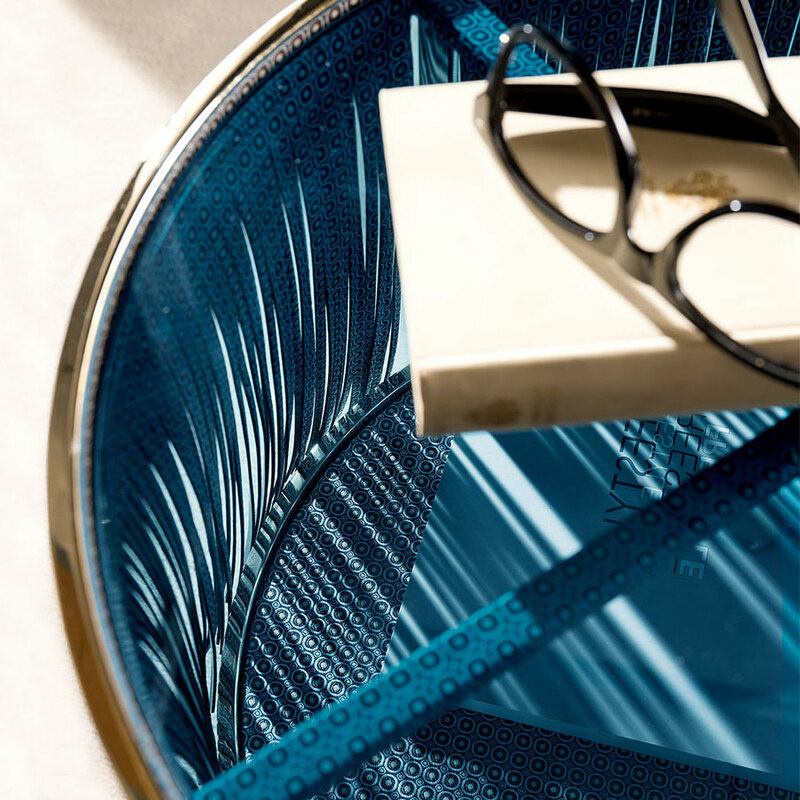 Fashion, design, craftsmanship blend together in creating Clipper, a round glass side table designed to fit any style thanks to its distinctive look. Far from the same old complement, this unique side table is a decorative design object created to stand out. 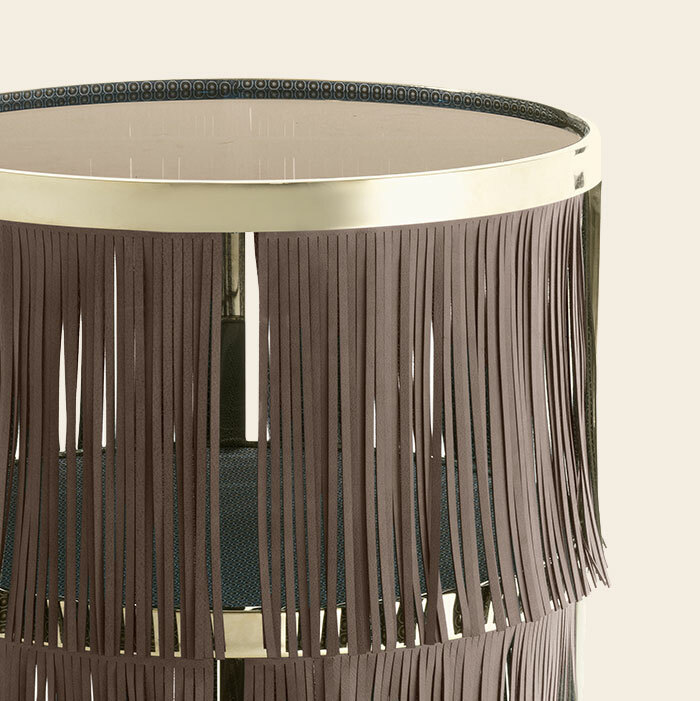 Adorned by fringes all around the structure, its design takes inspiration from the roaring Twenties’ fashion. The result is a base completely wrapped up in a see-through curtain that makes us thinking of the elegance of the Great Gatsby fool parties and the splendor of ancient art decò interiors. Clipper is made to be shown off, like a collectible object: we are talking of a round side table that can perfectly work as a coffee table or nightstand. Although we have to admit that it is too beautiful to be relegated into the bedroom, unless you want to be the only one to witness its uniqueness just like only real dandies would do. 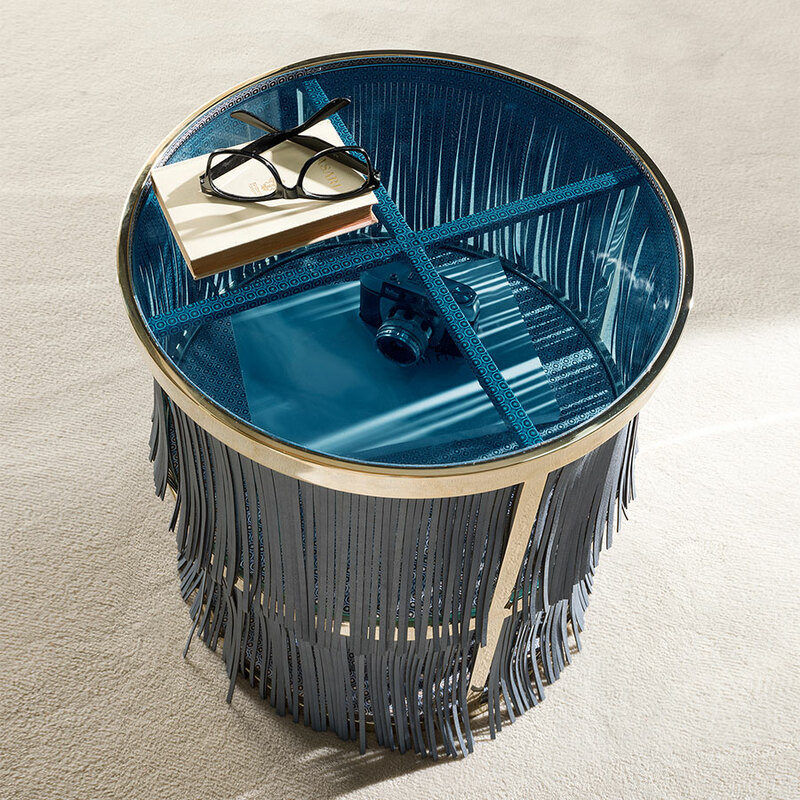 The glass top rests on a golden metal structure to which the leather and fabric fringes are attached. The backside of these elements is covered in the same fabric you can find on the middle shelf, hidden by the see-through fringes cascade. Why not use it as a tiny, precious cocktail cabinet to store and display your best liqueurs? It is a contemporary style house with a vintage twist the perfect habitat for this eccentric side table. A simple round coffee table is raised to a whole new level thanks to different styles influences. Tiny jewel-furniture, this metal, leather and glass side table lights up any room in which it’s placed. Its striking design and overall look is impossible to forget since it is designed to amaze and stand out. It is a well thought mix of art decò and boho-chic style, a style that made fringes to become fashionable once again: almost a signature piece, Clipper is the perfect blend of fashion and furniture design, inspired both by the world of clothing and the sculptural pieces and objects so beloved during the Twenties and Thirties. Metal and glass, leather and fabric. 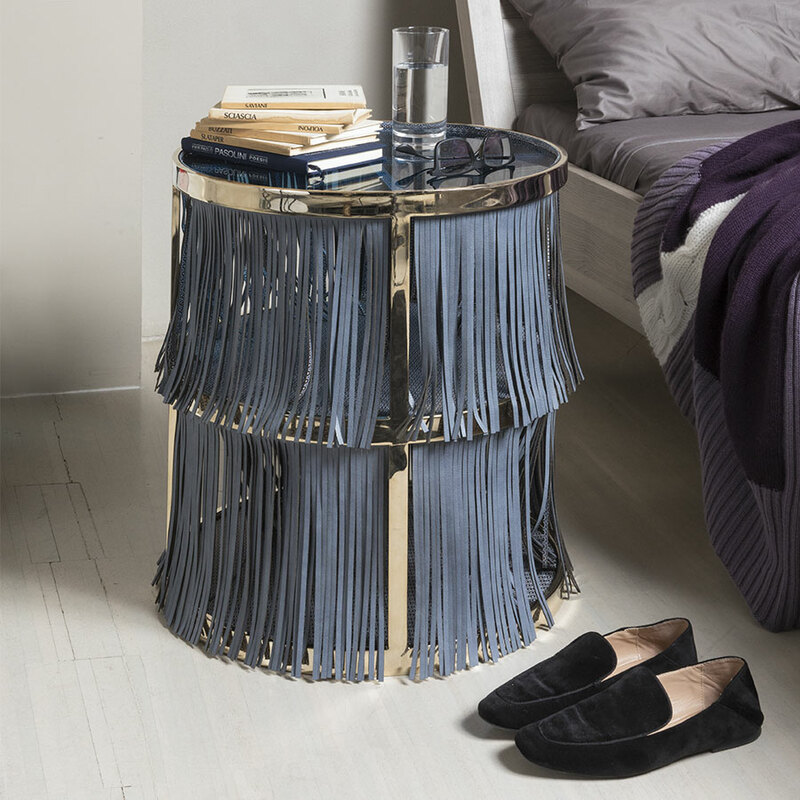 Different feelings and tactile sensations coexist and give this side table a pure silhouette played down by an informal-chic, and slightly funny dress. 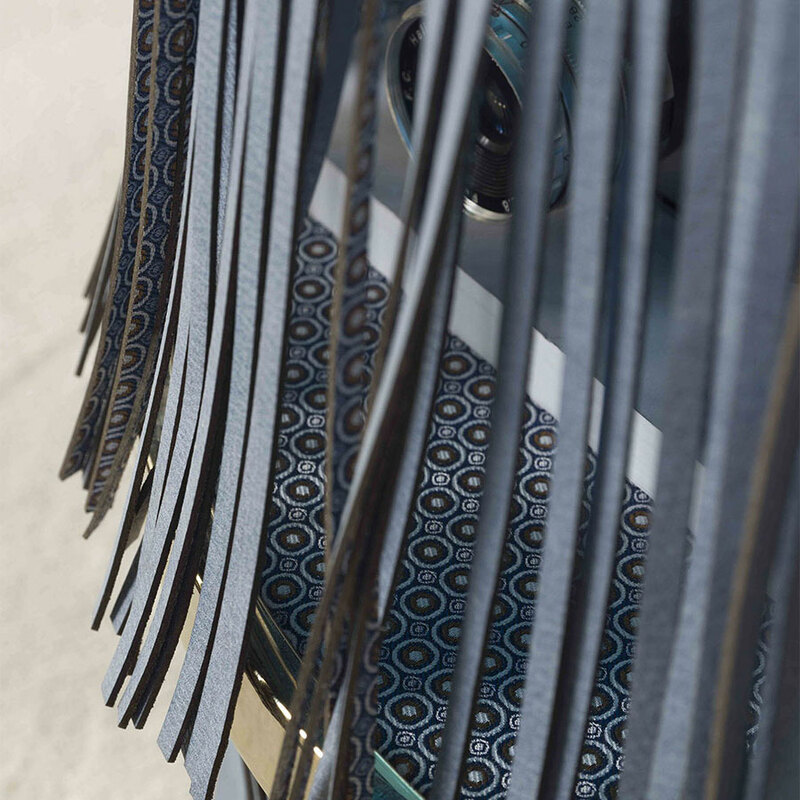 Amerigo Milano is craftsmanship, expertise, exclusivity. 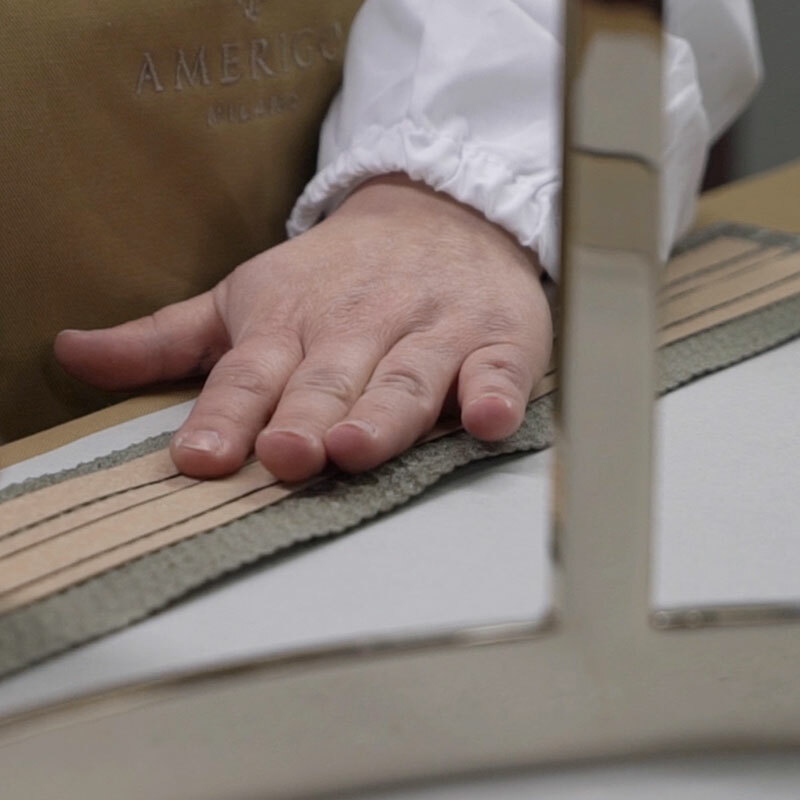 We give shape to bespoke classy pieces able to maintain the Milanese artisanal know-how alive, able to give heritage the great value it deserves. Not just furniture, not only interior design. 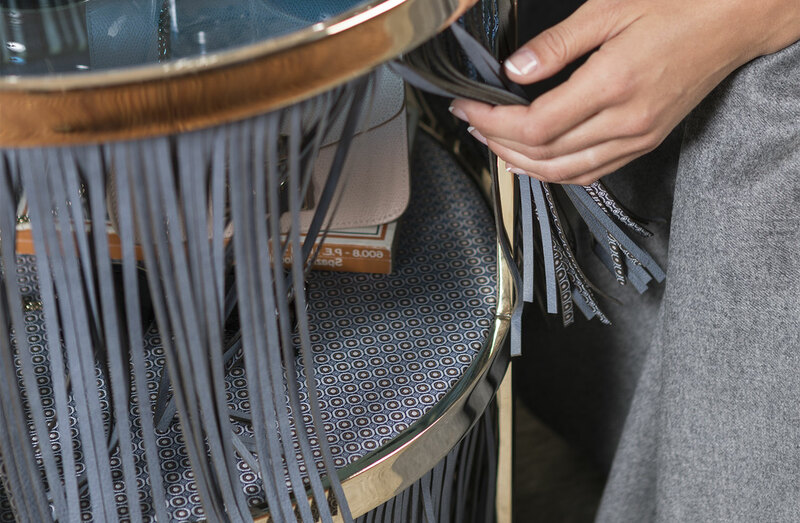 At Amerigo Milano we strive to create unique elements, pieces designed to become collectibles. 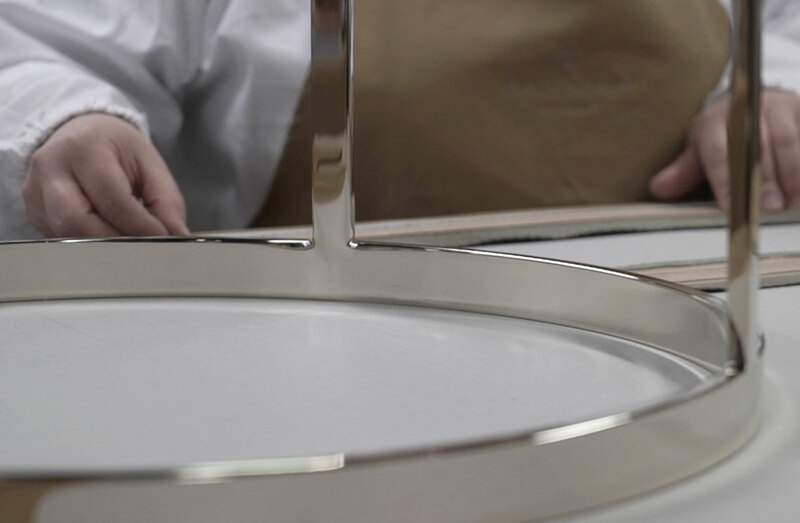 Here’s why a a single side table becomes so important to us: we wanted to make it a distinctive object, handmade and made to endure. Besides, we want the remarkable traces of craftsmanship to be immediately recognizable. 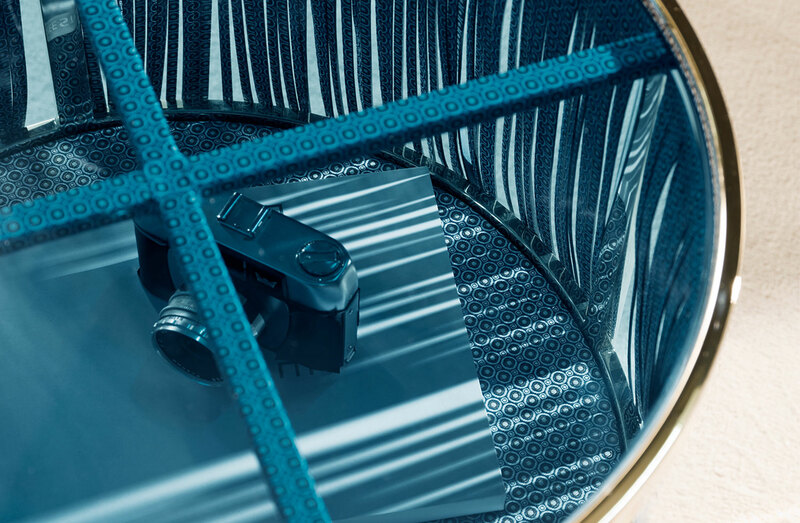 The effort of the artisans who work hard every day needs to be seen and valued through glass, leather and metal: through materials that become symbols of the Milanese excellence.